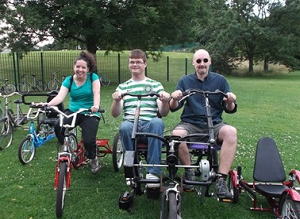 The Stockport CP Wheelers Disabled Cycling Project offers 3 sessions a week for children & young people and adults with a range of disabilities and additional needs. The sessions take part in Woodbank Park athletics track, which has a fence all the way round with only one way in and out so is safe. 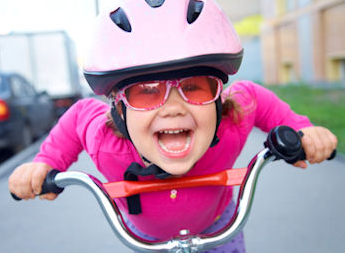 You can bring your own bike but there are a number of bikes and special adapted bike that you and your child can have a go on. There are some support staff there but parent/carers have to stay and support the young person. There is some disabled parking right by the athletics track, you have to drive through the park – please observe the 10 mph speed limit and put your hazard lights on! There is also the Wheelers Café “drop in” during the disability cycling sessions so that parents, carers and cyclists can meet and socialise and have a snack.